The tendency seems to be that an increasing proportion of new locations are launching at the start of the month so it’s going to be a busy few days and this site is a little behind. One step at a time. 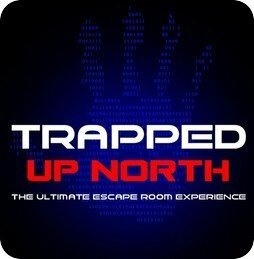 Trapped Up North is a brand new exit game opening tomorrow, Saturday 1st August, with an intial run announced up to and including Wednesday 23rd December. The site is being run at the Great Northern Warehouse in Manchester, a short walk from the Deansgate Metrolink station and Manchester Central (which will always be the G-Mex at heart). Coincidentally, it’s a very similar location to the one where Breakout Manchester‘s two Classified rooms are still running for another week, but there’s no connection; Trapped Up North is run by a different company who will be running a walk-through horror attraction called House of the Dead in October. Trapped Up North will offer two rooms to begin with and add a third later in the month. All three have 60-minute time limits and are available for teams of three to six, aged 12 and up, though parental discretion is advised for those aged under 15. As is often the case, the site will open six days a week, taking a one-day weekend on Mondays. The Jigsaw room concerns a grotesque “purity” test of the same name within a makeshift torture chamber in an abandoned mill, set by a serial killer known as The Judge. “If The Judge’s victims were pure, they would pass the test and escape but if they were not, they would die a horrible death at his evil hands. Of all those who took the Jigsaw test, there are no known survivors.” As an exit game, hopefully the survival rate will be at least a little higher. Are you made of sufficiently stern stuff to find out what that twist is for yourself? Only three months until Hallowe’en! 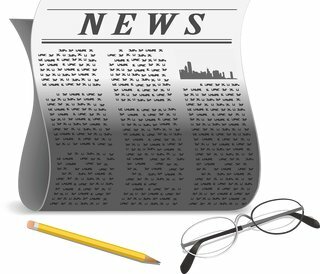 Double news round-up? Aargh, so many longer pieces to write, so little time to write them. 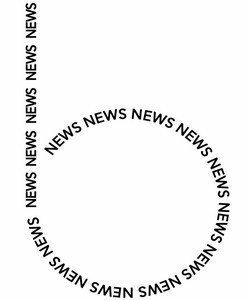 Here’s an assortment of quick stories. 1) Time Run of London have extended their run into 2016 – specifically, until the end of January. Last time this site looked at their bookings after an extension, it looked like they were going to put the price up; now it doesn’t. Hurrah! Interestingly, it looks like you can book tickets for Christmas Day – if this is deliberate, that could well make it a Christmas Day to remember (though getting there might be tricky as public transport shuts down). Take a look at the extremely positive review from The Logic Escapes Me, who did remarkably well recently. 2) The Logic Escapes Me largely keeps itself to London and does so very successfully, but feeds a few interesting stories here as well. St. Helens, in eastern Merseyside (a place whose name can only be pronounced in the dulcet tones of rugbeh leeeg’s Eddie Waring) has a library system that is running a two-week pop-up escape room this August. (Love the retro Teletext graphics.) Much of the content has been generated at a school already and there are drop-in sessions for the local youth to add further ideas. The finished game will admit either four or five teams daily, each of up to four players; free tickets are available between Saturday 15th August and Saturday 29th August. A really exciting initiative; other library systems, take note! 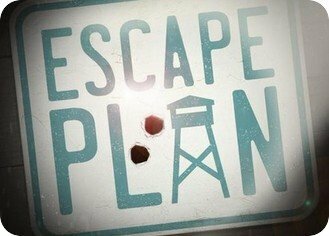 4) Play Exit Games have posted a competition in which you can win tickets to play Escape Plan in London. Very cool! 5) A quick couple of discounts: The Room of Glasgow have a Wowcher deal. You’ve got two days to buy a £39 voucher (down from £80) and until August 12th to use it to book a space on Sunday, August 16th, 23rd or 30th. Pretty specific, and terms and conditions apply, but if you can make it work then you can get a team of up to 10 players who have the chance to solve the mystery of Sarah Lynn. Back down in Liverpool, Exit Strategy posted a special deal to Facebook; for a limited time, buy a ticket for three players and you can play with up to five! For a link to a copy of the premiere of Race to Escape, see the previous post. Other than that, here are some news stories from closer to home. 1) The Escape Room of Manchester recently posted to Facebook that “Preston here we come and it’ll be open to the public in 30 days!” – exciting times. This site interprets the hash tags used to imply that the site will launch with two games already available in Manchester and three other games. Additionally, The Escape Room also commented that “We will announce the 3rd site in 2 weeks” – and no longer can you look for spoilers on the Escape Room International site as to where it might be, curses. BlogPreston points to a planning application which hints at an address within Preston. Now some of the plans on the application itself (which are, arguably, possibly a little spoiler-y with regards to room layouts) hint at either it being an application for just that site, or perhaps for a second exit game whose rooms have suspiciously similar names. This would surely seem implausible, but, just on the wild off-chance: hey, the more the merrier – and lucky old Preston! 2) Escape Quest of Macclesfield recently posted news of their third game, Bad Clown. This site gets the impression that it’s not the Michael Jackson sort of “bad” either. This game will be the first 90 minute room escape game in the UK, and the aim of the game is not only to find a way out of Mr Chuckles funhouse, but also to collect as many golden tickets along the way as you can. There will be several ways to gain golden tickets including finding and winning them throughout the duration of the challenge. Bad Clown is not for the faint hearted, it will be played in very low light or occasionally complete darkness, and will be full of fun and frights. Mr Chuckles enjoys making his visitor jump and squirm. As such we recommend an age limit of 15+ with one adult accompanying every player under 18. It also means that pregnant ladies and people with heart conditions will be unable to play. Advanced booking is now open from the 10th October 2015 onwards, and to celebrate our biggest, scariest and toughest challenge to date we have decided to dedicate Halloween 2015 at Escape Quest to Mr Chuckles with an exclusive chance to book one of a limited number of 13 games over the Halloween weekend, including a late night game on the 31st October which will see your team play well into the midnight hour. Exit Games UK understands that this late-night scariest-of-scary games has already been booked by the Escape Game Addicts team – who were, incidentally, the first team to beat Breakout Liverpool‘s Wild West-themed Wanted room, when played from the perspective of the Indians. Colin Baker (no, not Six!) of Thames Underwriting wrote that they had “had a high level of enquiries recently which we have been able to help with as apparently most markets will not provide cover“. This site isn’t in the position to know whether exit games really are struggling to find insurance, or whether the thought of an insurer who is willing to specialise in the concerns of exit games would be valuable, or how good any particular insurance company is. Nevertheless, if it’s an issue, consider mailing Colin directly. John Jacobs of Quirky Caches also got in touch. The titular caches refer to bespoke containers for geocaches, both sufficiently rugged to deal with the outdoor conditions and original in their design, featuring puzzles that must be solved to be opened. He’s clearly a highly skilled craftsman and has apparently already been supplying UK exit games with bespoke props. His site and social media have examples of his work; whether you’re looking for something for your room, or just for your own unusual storage requirements, he might have something relevant to your interests. Exit Games UK has previously looked forward to Race to Escape, a game show with an exit game theme that started on the Science Channel in the US yesterday. Happily, the first episode was very much to this site’s taste; the short series of six episodes promises a different theme each week and if the variety and standard remains this strong then the series will be something really rather remarkable indeed. In the worst-case scenario, later episodes in the series might have little to offer, but the first episode is still something of a must-watch. The first question – at least to UK readers – is how to watch the series at all. If you’re in the US, then the solution is simple: it’s available to be streamed, free of commercials, on the channel’s own official site. If you’re not in the US, perhaps you might be able to persuade the official site that you actually are by means of a VPN or such – likely this won’t be free, but it’s cheap, can be reasonably simple, and comes recommended. It’s possible that someone might upload an illicit copy of the first episode to a video site; it’s also theoretically possible that, more legally, one of the UK channels over here might pick the show up. ((Edited to add:)) Oh, what the hell – here’s a link to just such an illicit copy of the first episode. As might be expected, there are a few ads to be closed, and there’s no guarantee that the link will last for long. Nevertheless, enjoy. As previously discussed, the format is simple. 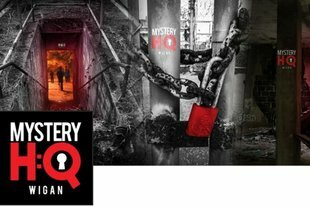 Two teams of three strangers compete to escape identical rooms; the first team to escape within 60 minutes wins a cash prize. Escape within 20 minutes and win $25,000; take longer than that and the money starts to tick away at $500 per minute. Optional clues reduce the potential prize by $5,000 each. Based on a sample of a single episode, the actual show lives up well to the considerable potential. There is remarkably little messing about and the show gets straight to the action. The rooms are the true stars and look gorgeous. The puzzles are… not the most original things in the world, but sufficiently well-designed to impress and look like they have had more money spent on them than could be found in (almost all?) escape games’ budgets. The chain of cause-and-effect sometimes isn’t completely logical, but the show proceeds with such speed and spirit that on the few occasions that people might reasonably stop and say “Er, why?” that it gets away with it convincingly. The host, Jimmy Pardo, plays his role with about as straight a bat as you might ever expect to see from a comedian, with only a couple of arch hamming-it-up moments. He interrupts the action occasionally to demonstrate the teams’ activities demonstrating certain psychological principles, which is a tenuous reason to justify the show’s broadcast on the Science Channel, but works well enough. The contestants are smart and likeable, though seem to be (if not quite over-emoting then perhaps) sugar-rushing their way through; they’re clearly having a great deal of fun playing the game, and this comes through convincingly. Maybe you can’t play the puzzles at home yourself as well as you might, but you can imagine how much fun it must be to get the chance to do so for real. The first episode left this site wanting more and looking forward to future episodes. Congratulations and compliments to everybody involved. ((Edited to add:)) The host recently took questions from the public on Reddit’s “Ask Me Anything” section. Most of the questions were about his Never Not Funny podcast, but there were a few about the show, with some interesting views behind the scenes. Has there ever been as good a time for watching puzzle shows around the world as this? Series four of The Genius has been sensational, four episodes in; Only Connect is reliably superb, and Race to Escape has got off to a heck of a start. Happy days. One more other global issue; while Exit Games UK doesn’t habitually cover US site launches, please do keep an eye on the newly-opened Locurio of Seattle. By way of full disclosure, Exit Games UK knows one of the founders a little, but it respects the knowledge and background experience of the founders so much that the site has exceptional potential. Like tube stations, the exit games in London are mostly north of the river. However, yesterday, the borough of Lambeth got its first place to play as Escape Plan opened in Kennington, just up the Elephant and round the Castle. (There is no connection to the similarly-named Escape Plan Live of Chatham.) The site is distinctive for adopting a World War II theme; while this isn’t an absolute first in the UK, you’ll have to go quite an inconveniently long way if you want to find another one. As noted on Facebook, the location is a pop-up so that they can pilot their first game over a period of four months or so. The site opens on Mondays to Saturdays; teams of 2-6 (3-5 recommended) will pay £115 for a 60-minute game, though if you can play on a weekday before 6pm, the price is reduced to just £80. A code posted to Twitter offers a 35% discount for a limited time. The site also gave away a ticket to a teacher in a random draw, which is cool. The first game, logically enough entitled The Adventure Begins, is set in the barracks of a POW camp. Only one prisoner has yet successfully escaped, Bob Hails; the game challenges you to do likewise, based on a journal that he has left behind. The team behind the game have advanced plans for at least two later attractions, though the restrictions on their current location are forcing them to a single game for now. Nevertheless, the site prides itself on its immersive and authentic setting, which should be available even already. The first-choice teams have been announced for the UK’s representatives at this year’s World Sudoku and Puzzle Championships, taking place in mid-October in Sofia, Bulgaria. While everybody has been too right-minded to say anything foolish, the continued and repeated success of women in sudoku competitions worldwide would surely shoot down at a stroke any stray sexists who wanted to make an issue, where none exists, of the differences between men’s and women’s ability at competitive puzzles. The puzzle team looks at least as strong as the UK has ever had. The UK’s best performance at a World Puzzle Championship (sixth in 2013) was with that line-up except for Thomas Powell instead of David McNeill – and McNeill, as well as clearly being on great form, has been the top UK solver at the WPC four times out of his five appearances. This is the UK team that Exit Games UK has long hoped for. The puzzles are getting harder and the standard is getting stronger; you need to run ever faster just to keep up. When this site predicted a 35% chance that the UK team produces its best performance in the next World Puzzle Championship, beating its previous best of sixth from the twenty national “A” teams in Beijing in 2013, it hoped to see a line-up just like that one to break the national record. The very best of British luck to both teams! 1) The warmest of welcomes to London-focused new exit games weblog The Logic Escapes Me. It’s full of well-written reviews, noting that that is a route that this site has never gone down. It’s not completely clear who the site author is, but this site has a pretty good guess. (Actually, one pretty good guess and two moderately good guesses, with hopes that the two moderately good guesses do start their own weblogs before long.) Highly recommended and a very welcome addition to the blogroll; there are already plenty of cracking exit game (and related topics – in fact, especially when weblogs go on to related topics) around the world, but there’ll always be room for one more. 2) Wigan has no exit games yet, but there’s a crowdfunding campaign under way to launch Mystery HQ Wigan, which would be the town’s first. The campaign also hints at an exciting-looking hunt on the day before the site launches, which strikes this site as an excellent publicity stunt. It would be fair to say that this site hasn’t yet got too far with its crowdfunding campaign, but it would also be fair to point out the history of UK exit games crowdfunded on Indiegogo; Can You Escape? of Edinburgh are excelling after a moderate crowdfunding campaign, and it’s also a joy to see progress described at the Quest Room Facebook page after their own Indiegogo campaign didn’t really catch traction. Yet if we’re talking about crowdfunded UK exit games, a round of applause to Engima Escape, a winner on Kickstarter, which launched last week, is attracting favourable early comment and still has a 25% discount offer available! 3) It’s not just UK exit games that crowdfund, though; this site is unusually uplifted by this Canadian Kickstarter campaign for In Depth: a Traveling Mental Health Escape Game. What a distinctive and progressive concept! The plan is to build a game that goes on a two-week tour across Canada, and to film a documentary about the experience. Exit Games UK is really excited that people are trying to use exit games as an educational medium in this way, noting Prof. Nicholson’s historical work in this regard, and feels strongly positive about the topic chosen. 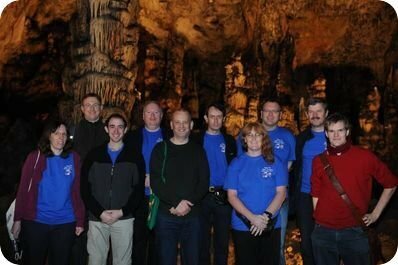 Four weeks ago, this site previewed the UK Puzzle Championship taking place that weekend. The results have been published and this site congratulates everyone who is happy with their result. Errors and omissions excepted and corrections are welcome; note that this site declines to split places between players on equal scores on the “time left” tie-breaker. Many thanks to everyone who has been involved with setting the puzzles or organising the contest over the years, especially serial compiler Liane Robinson. There’s one online puzzle contest taking place this weekend: the eighth and final round of the World Puzzle Federation’s Sudoku Grand Prix. The instruction booklet for the 1½-hour round is available – coincidentally, also set by UK organisers! – and the puzzles will be available to solve until Monday evening. 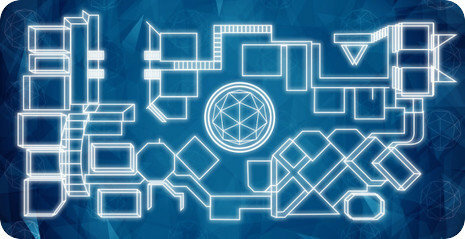 The crowdfunding campaign for the forthcoming The Crystal Maze live attraction has barely 36 hours left to run. Already it has proved extremely successful, raising its original £500,000 goal and then smashing through four stretch goals up to £850,000. Many congratulations to everyone involved! It’s still possible to buy individual tickets through the crowdfunding campaign at £45 each, compared to the announced general admission price of £50 each plus a booking fee. There are still some open questions, though, worth thinking about before you decide if it’s right for you. 1) How many games will you get to play? Each team will get two more per zone than if the campaign hadn’t reached £600,000, apparently, though the facility isn’t putting numbers on it. Exit Games UK – without the benefit of any inside information – looks at the announced playtime of 1 hour 45 and chooses to interpret the graphic as a reasonably literal map. The original show played up to four games per zone; Exit Games UK guesses that there will be six cells per zone and all six will be played by each team, pointing to 24 games per team, or three per player in a full team of eight. That said, Iain had a rather exciting theory. Suppose some of the games are designed to let two team members play at once. If there are four one-player games and two two-player games per zone, then it would mean every player in a team of eight would get to play in every zone, which would be delightful. This site suspects that the attraction will err on the side of authenticity and stick with one-player games, but would be delighted to be wrong. If you feel that this isn’t as many games as you’d like to play, it’s always possible to buy all eight tickets and have fewer than eight participants use them, spreading the games less thinly among the team. Theoretically there could even be a single-player team where the player plays every single game, but a lock-in would cause a considerable problem – and a single player may not get so far in The Crystal Dome. 2) Will there be watery games? Exit Games UK would consider it unlikely, taking an initial clue from the decision (which it loves!) to go with the original Industrial Zone rather than the Ocean Zone. On top of everything, it would be a health and safety nightmare; there’s always a drowning risk, and large tanks of standing water have an entirely serious legionella risk as well. The original show appealed to people for many different reasons, including to those who liked to watch people fall into water tanks. Does this mean that people would actually want to play those games, though? If you don’t see a “bring a change of clothing” announcement, expect a dry experience – and when there are so many other strong things that could be done, Exit Games UK would expect the attraction not to try to weakly emulate the genre. 3) How will lock-ins work? With the second stretch goal having been reached, those who get locked in will be taken to a special prison where they might have the chance to earn their escape, without costing the team a crystal, by completing a special challenge. This seems like a decision of practicality over authenticity, which Exit Games UK welcomes. Getting locked in and not being bought out would lead to poor value for money; much as “everybody likes solving puzzles, nobody likes not solving puzzles”, it’s a reasonable approximation that “everybody likes playing games, nobody likes not playing games”. Additionally, splitting teams between zones would be very difficult logistically, not least when there will be different teams circulating around the zones. 4) How soon will you get to play? This site estimates that the crowdfunding campaign has sold tickets to around 2,700 teams: start with the 1,600 “full team at the Maze” tickets that have gone, add 500 for the 125 “four teams head to head” tickets, and so on. Given that the “all day maze access” ticket suggests that there will be 16 teams per day (four sessions, each taking four teams) then this would imply that the facility has been pre-sold out for over 160 days – assuming the location opens seven days a week, that’s a good five months. It seems reasonably plausible that there will be higher demand for Friday-to-Sunday tickets and evening tickets so if your heart is set on one of those then you may have to wait, but midweek afternoon tickets may be more readily available. Exit Games UK wildly (and, again, uninformedly) guesses that games might start at 1:30pm, 4pm, 6:30pm and 9pm… and that the facility might well consider offering 11am games as well. 5) Will there be prizes? This one might not be such an open question, as Exit Games UK recalls (though quite possibly incorrectly!) reading a suggestion that when the four teams meet up against each other at The Crystal Dome, whichever team performs best earns a set of eight crystals. It would not be a surprise to see a monthly leaderboard with the chance for top teams to win activity days in the style of the original show. 6) How will The Crystal Dome work? There’s no reason to believe anything other than authentically – though the actual show used “the magic of television” and got its close-up shots from filming the players on a second attempt where the performance did not matter. In Buzzfeed’s brilliant oral history of the show, the captain of the first episode claims that even then “we realised that if we all lay down we’d stop the airflow and it would be easy” – expect blocking the fans to authentically be prohibited as well. 8) How will the spectator experience be? Courtesy of hitting the third and fourth stretch goals, there should apparently be a rather interesting bar area overlooking the field of play, with cameras in the cells to show the progress of the games as they are played. Exit Games UK tends to hold the view that a large part of the appeal of The Crystal Maze is rapidly working out what is demanded of you in the games within the time limit, as well as executing what is required, and that seeing the games in advance (either as a spectator, or because the site has revealed the game’s details) will rather spoil the effect. However, another (probably very much more practical) route to take would be to concentrate on games where knowing what has to be done is easy and actually performing the tasks required is difficult, as spoilers will surely get out by word of mouth if nothing else. Either way, Exit Games UK hopes that the games are really, really good, and that the project gets the very best people in to design them, including those who designed games for the original show. 9) Is there replay value? Will people want to play more than once, or is this something that can only be a one-time experience? This ties in with the extent to which working out what’s required is a part of the challenge. Part of the fun of the experience will be supporting your team-mates, but if you see your friend play a game and go “oh, that looks really fun to play!” then you might well want to come back and do so. It’s possible to go too far, though; it would be inauthentic if an eight played the maze first time, learnt the games, practiced them at home, came back and smashed them all second time around and set an immense high score. You didn’t get second chances on the show, so it would seem awry to get them at the attraction. It may be hard to avoid; it’s practically inevitable that someone will come as a spectator and see the games played through the cameras before they come back as a player themselves. A good – but expensive and probably impractical! – way to do this would be to rotate the games very frequently; a reasonable way to do this would be to replace all the games every year, much as one series of the show had different games to the next. 10) Will it be a long-term hit? Ah, that’s the 64,000-gold-token question. Tickets have already been sold to perhaps twenty thousand or so players, and the show had audience figures in the millions. With the repeats on Challenge? over the years, the show must be familiar to tens of millions of viewers, many of whom will surely want to play. Whether it’s a compelling enough product to convert many potential players into actual players at a regular price of £50 plus booking fee remains to be seen, as well as whether or not £50 per player is actually a price point that makes sense for the organisers in practice as well as in theory. The people behind the enterprise have very convincing track records, though, so they must surely have as good a chance of making it work as any. Exit Games UK has purchased a “four teams head to head” ticket and will be selling all 32 spaces on to members of the exit games community, both players and staff. A handful of tickets remain; you’ll get the chance to play alongside representatives of Agent November, Archimedes Inspiration, Breakout Manchester, Breakout Liverpool, Enigma Quests, Escape Hour, Escape Live, Escape Quest, The Escape Room and (subject to confirmation) the Escape sites in Dublin, Edinburgh, Glasgow and Newcastle. The remaining spaces are being sold at the cost price of £32.50 (that’s the £1,000 ticket split 32 ways!) so you might well be interested in them simply on the grounds that it’s more cost-effective than any of the other options, but the company should be spectacular as well. If this interests you, please get in touch by e-mail for the payment options. If you’ve got in touch in the past and received payment instructions but not acted on them then you don’t yet have a guaranteed place and need to move quickly. There may well be a waiting list started, in case people who have paid have to drop out and resell their tickets. June 1st saw a new exit game site launch in north-east London, specifically not far from the well-connected Finsbury Park area. Hidden Rooms London has opened with two rooms, each of which hosts a 60-minute game for teams of 3-5. Prices are towards the lower end of the market for a London location: £69 for three players, £79 for four or £88 for five. The story behind the Prison Break room runs like so: “Foreign country, foreign place! It seemed to be a great party with friends, but then something went wrong. Suddenly they woke up in a jail. You know that you are not guilty you are still life imprisonment judged. No other act in your head but how to have the guards on and escape from captivity. You have to hurry, since no more than 60 minutes are at your disposal and the cell door closes behind you forever. Riddle the puzzles, open the padlocks, go closer and closer to freedom. The outcome is up to you! Either you manage to get out and see freedom or the cold hole takes you prisoner forever.” Early reviews suggest that this is a game with a bit of a twist to it at the start; not a completely unoriginal one, but a certain sort of edge that might not be available within a couple of hundred miles or so. It’s interesting to see this Facebook post suggest that the eager beavers of Thinking Bob, who have enjoyed very many of the exit games of London and nearby, have booked both rooms out for a double-header at the start of August. Should be a very good night!